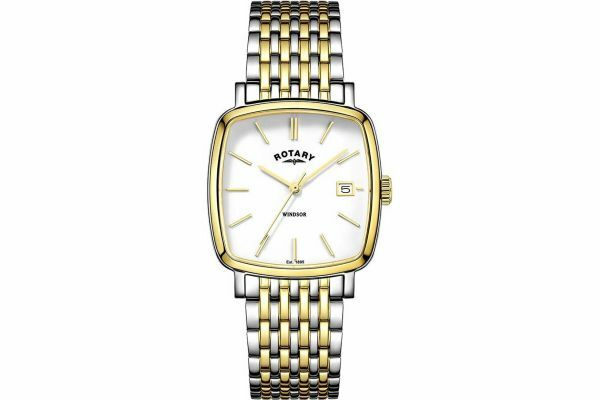 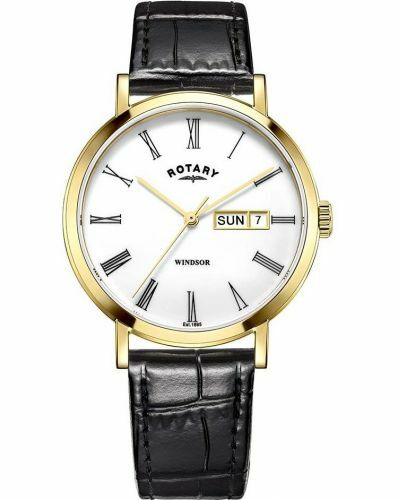 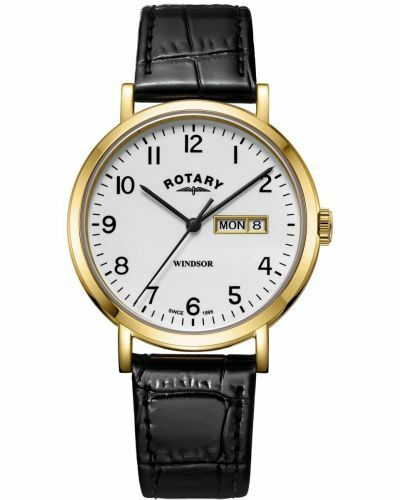 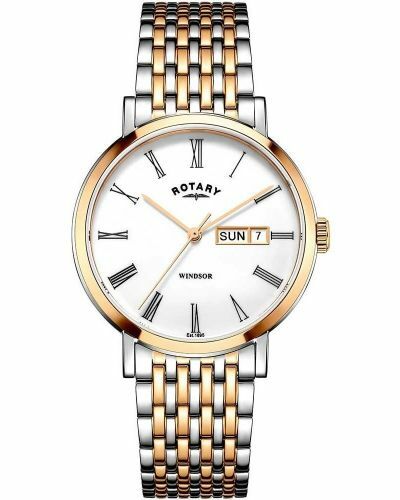 Men's Rotary Windsor two toned gold plated stainless steel classic watch with a square polished case. 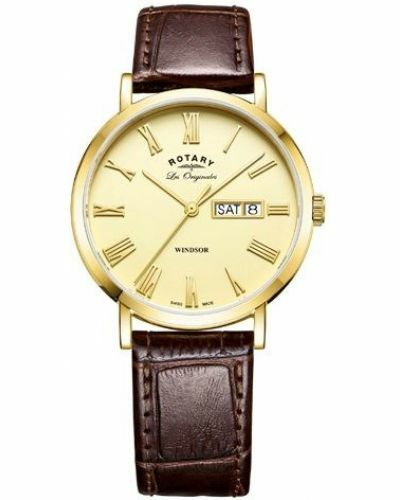 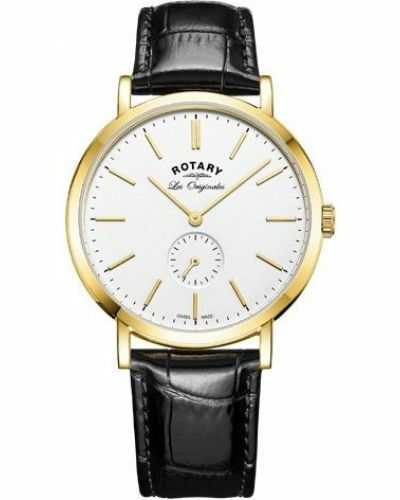 Has a large white dial with slender gold batons and a date display window. 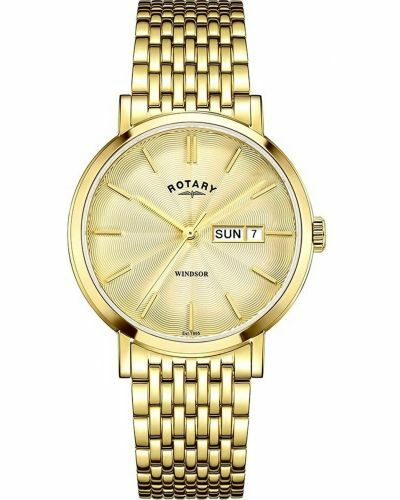 Features a polished two toned stainless steel gold plated bracelet. 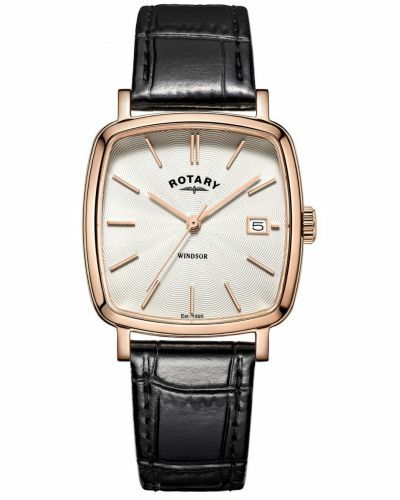 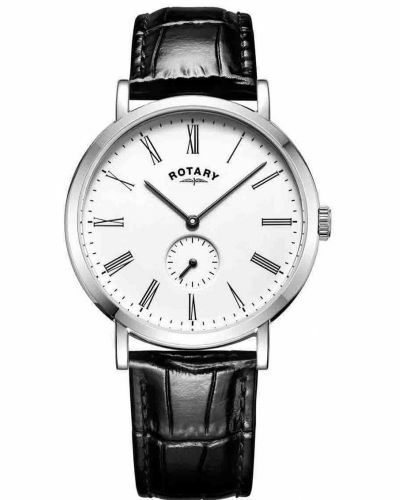 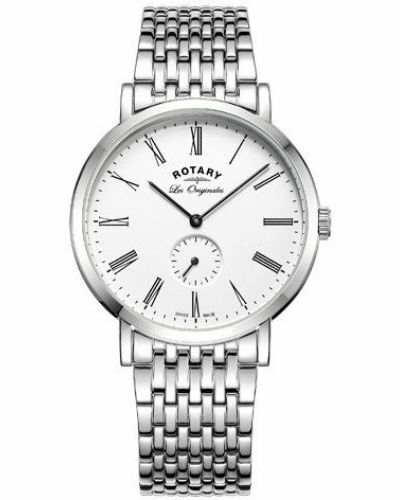 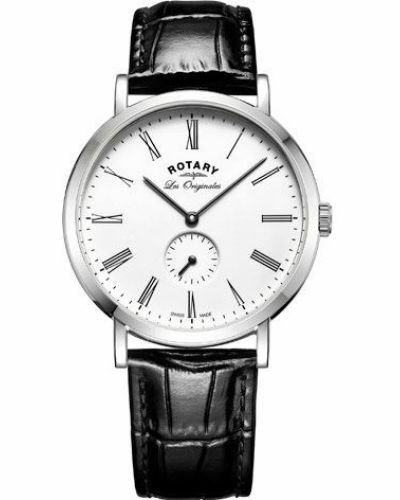 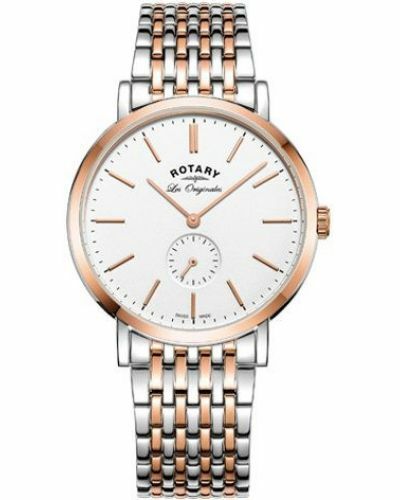 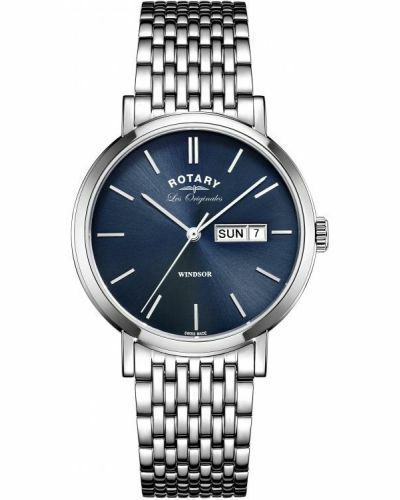 Powered by a quartz movement and comes with the Rotary 2 year guarantee.